From truffle and boar hunting in the French Pyrenees to spear fishing off an island near Athens, Jamie attempts to uncover the freshest, most authentic dishes. 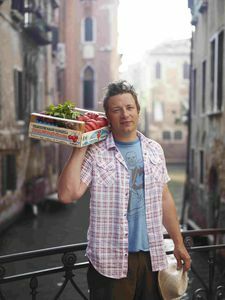 Join the intrepid chef as he discovers the treasured individuality of world cuisines on JAMIE'S FOOD ESCAPES. This month, on Discovery Travel & Living's brand new series ROCCO GETS REAL, Rocco dishes out pointers on some of our favourite comfort foods. Rescuing eager but often clueless-in-the-kitchen individuals, catch the award-winning chef as he enlightens on a wide variety of everyday cooking dilemmas on ROCCO GETS REAL. True to form, this GLUTTON FOR PUNISHMENT is back for more! From cracking coconuts in Hawaii to taking on sushi masters in San Diego, season four of GLUTTON FOR PUNISHMENT sees culinary bon vivant Bob continuing to break rank in a bid to beat masters at their own game with just five short days of training.